The major problem in Parkinson’s disease (PD) is the gradual loss in the brain of the chemical messenger dopamine. Without this neurotransmitter brain cells that use dopamine cannot communicate with one another effectively. This communication breakdown leads to functional breakdowns in every brain system that uses dopamine. The motor systems are just the most prominent and disabling of these functions, so they get all the attention. But there are other very important systems that depend on dopamine that are also affected in PD—as I am sure you know if you or a loved one has PD. These other brain functions are sleep, mood, speech, and thinking. Up to 90% of PD patients experience sleep problems at some point in their illness. 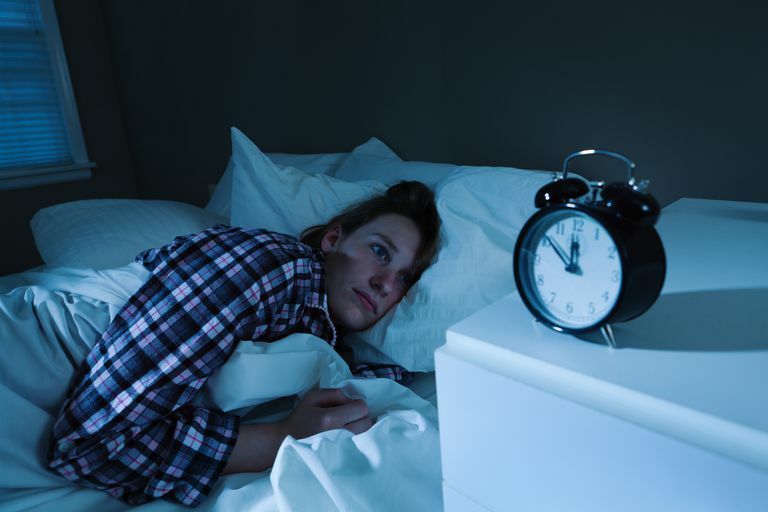 Between 40 and 90% of PD patients experience insomnia or difficulty falling and staying sleep. Most of these individuals do not feel refreshed after awakening from sleep. Insomnia in PD is related to muscle cramps, immobility, frequent need to get up and urinate, anxiety and side effects of medication. Many PD patients experience intense daytime fatigue and sleepiness. We do not yet have firm numbers on how many patients experience daytime sleepiness. Daytime sleepiness may be dangerous if the patient needs to do a lot of driving. Excessive daytime sleepiness in PD may be due to a variety of factors including insomnia, sleep apnea (see below), depression and drug therapy (the dopamine agonists, in particular, may cause sleepiness). As many as 20% of PD patients may have sleep apnea. Sleep apnea refers to a significant difficulty with breathing during sleep. Sleep apnea is a major cause of nighttime insomnia and daytime sleepiness. It also reduces oxygen flow to the brain which in turn impairs concentration and thinking during the daytime. Between 15 and 48% of PD patients also have REM Behavior Disorder (RBD). REM sleep, or Rapid Eye Movement sleep, is that form of deep sleep in which we are most likely to have vivid dreams. Our bodies are paralyzed during REM sleep due to muscle suppression that occurs during REM so that we do not act out our dreams while asleep. REM Behavior Disorder occurs when the normal muscle suppression that occurs in REM sleep is abolished. The patients with RBD often acts out violent or frightening dreams where the dreamer or the bed partner are being attacked and the dreamer must defend against the attackers. Virtually all patients with PD experience some mood disturbance during the course of the disease. This is not surprising. Like any other chronic condition, PD poses many daunting challenges on a daily basis and these can be discouraging to both the patient and his or her family. It is entirely normal to go through periods of sadness and discouragement. It is also entirely normal to experience worry and anxiety about how you and your family are going to cope with all the curve balls PD throws at you. So sadness and anxiety are entirely normal reactions to PD. What gets worrisome and requires attention is when the sadness turns into depression or when the anxiety becomes persistent and interferes with daily functioning. Up to 50% of PD patients experience major depression during the course of the disease. Depression can be effectively treated in PD with a combination of psychotherapy and anti-depressant medications. Between 30 and 40% of PD patients experience a significant anxiety disorder during the course of the illness. These anxiety disorders can be expressed as panic, phobic (particular situations trigger the anxiety), or generalized anxiety. The speech problems of PD include difficulty with the articulation of speech sounds, speech volume, and speech prosody or melody. These may sound like small problems but they can have a huge impact on your daily social interactions so it is important to treat these problems as soon as you can. Dopamine supplies those areas of the brain that are particularly important for concentration, reasoning, reflecting and planning. These are known as the “executive cognitive functions” because they help to control all the other more basic thinking processes of the brain. It is important to note that these thinking functions are NOT lost in PD—they just slow down a bit. But that small slowing can have big effects on functioning if left untreated. PD is associated with several non-motor problems including sleep problems, mood problems, speech problems and thinking problems. The good news is that ALL of these problems can be effectively treated and when they are effectively treated your quality of life will dramatically improve. There is no reason to suffer unnecessarily. These are areas where you can act to make a difference. Act! Speak to your doctor about these problems if you have them. It is not inevitable that you have poor sleep or poor speech or depressed mood. You can do something about these problems. Remember, you are not your disease. Do not let it dictate to you. There are many effective treatments available. You can learn more about these treatments from your doctor and from this website. Huber SJ, Cummings JL, editors. Parkinson's Disease: Neurobehavioral Aspects. New York: Oxford University Press; 1992. R.F. Pfeiffer and I. Bodis-Wollner (Eds). Parkinson Disease and non-motor dysfunction, Humana Press; Totowa, New Jersey, 2005. What Are the Other Symptoms of Parkinson's Disease?